This Pack has 2 parts. 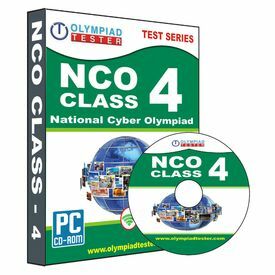 Computer Based Test Series , Study Material, Information about Exam/ ALL Olympiads, Exam Pattern and Syllabus, Exam Tips, Career Guidance and Counselling Chart (120+ Career Options), Success Stories, Motivational and Inspiring Videos, Powerful IQ Tests and Fun Zone. This Pack has 2 parts. 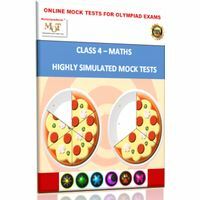 Part 1: Online test Series Annual membership to personal Online Olympiad exam hall where many practice tests are assigned Part 2: CD Latest updated content. Covers test papers on each topic. Complete syllabus revision. Sure-shot selected questions for practice. Immediate results and reports. 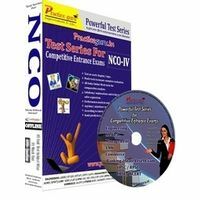 Instant solutions and explanations. Preparation guide. All other related information about the exams No. 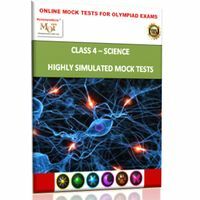 of Papers (Subject-Wise) Science- 16 Tests, Mock tests – 30 , Solved Previous Year Papers Contents in CD Computer Based Test Series , Study Material, Information about Exam/ ALL Olympiads, Exam Pattern and Syllabus, Exam Tips, Career Guidance and Counselling Chart (120+ Career Options), Success Stories, Motivational and Inspiring Videos, Powerful IQ Tests and Fun Zone.